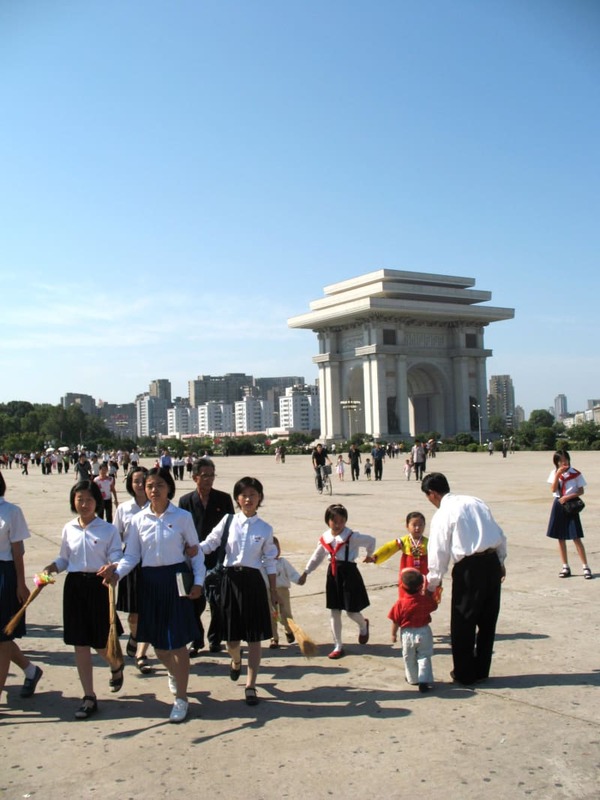 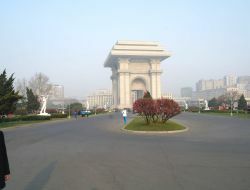 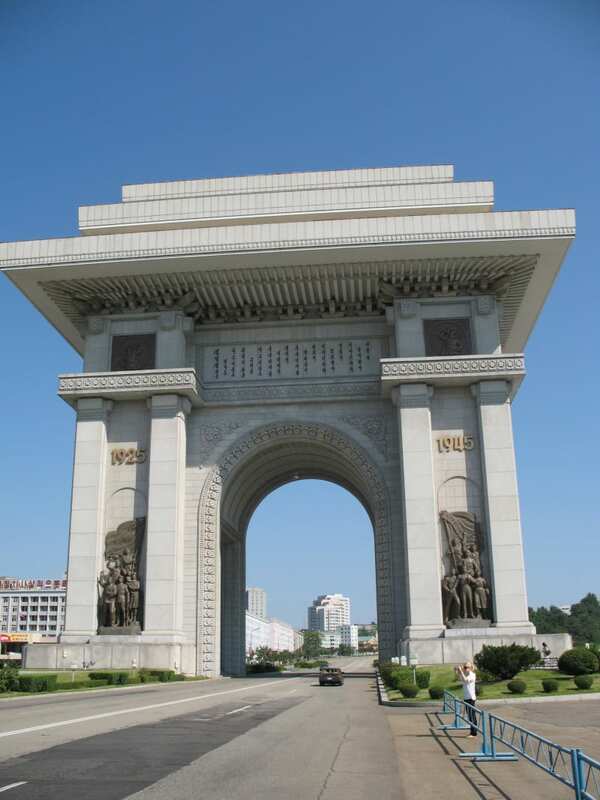 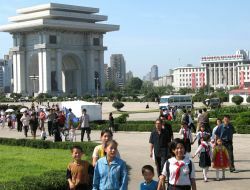 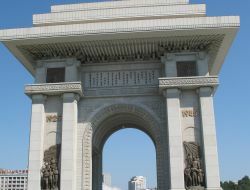 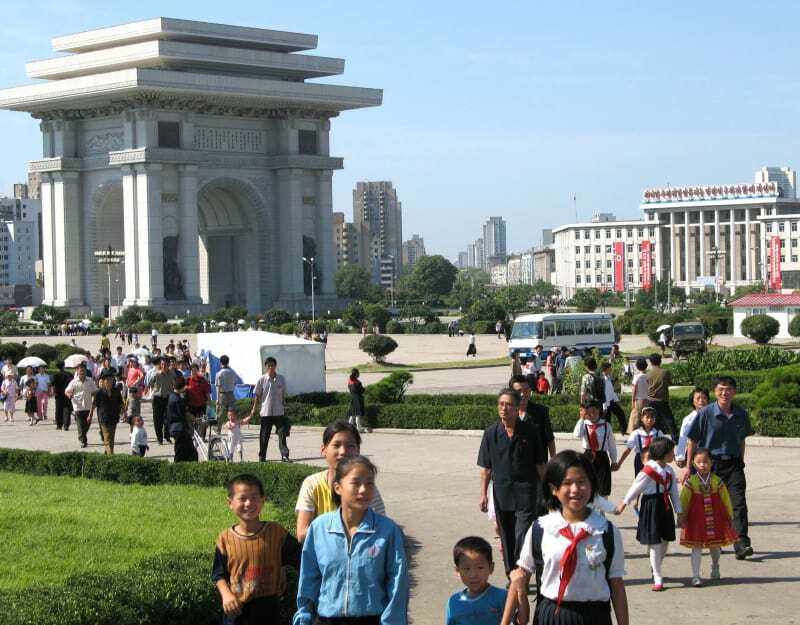 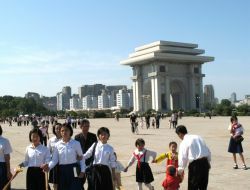 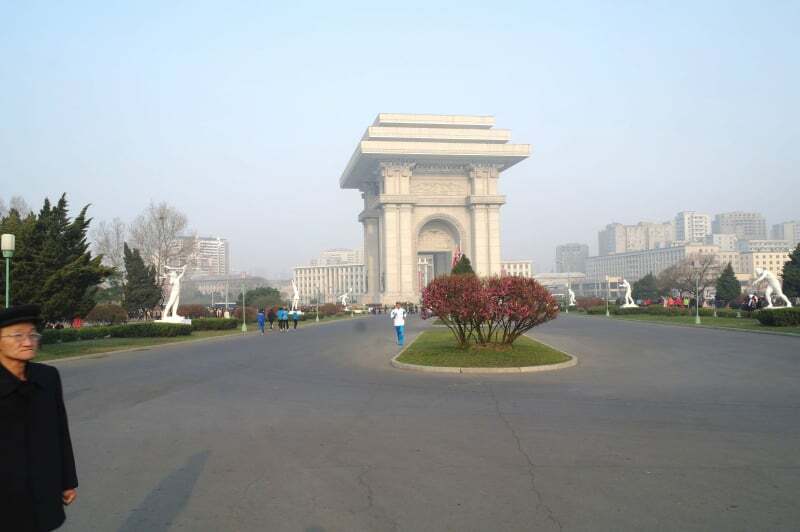 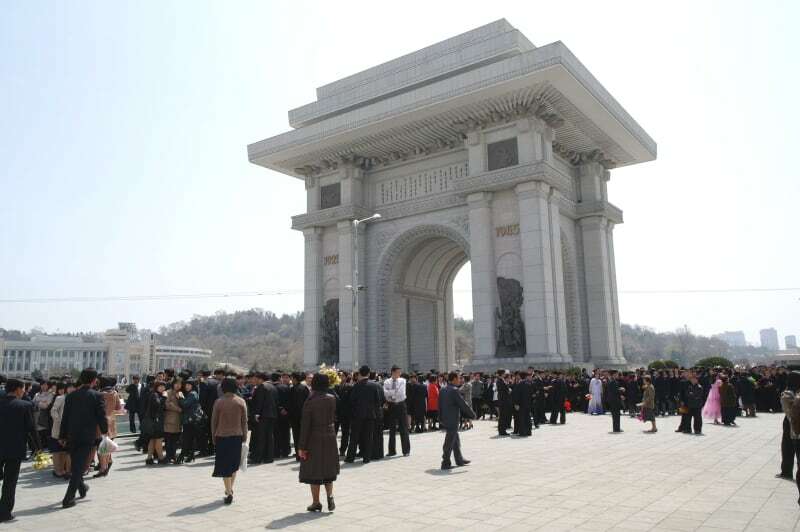 Inspired by Paris’s Arc de Triomphe, Pyongyang’s larger version is the second tallest triumphal arch in the world, after Monumento a la Revolución in Mexico, standing 60 m (197 ft) high and 50 m (164 ft) wide. 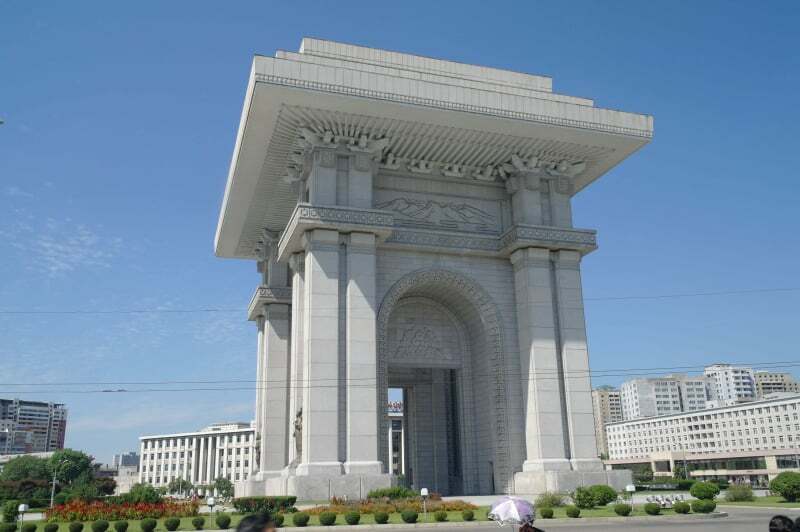 This majestic monument, built in 1982 from white granite, commemorates Kim Il Sung’s role in resisting Japanese rule between 1925 and 1945. 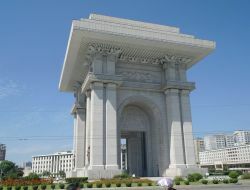 Built on the Triumph Return Square at the foot of Moran Hill the monument was built to honour and glorify President Kim Il Sung's role in the military resistance for Korean independence. 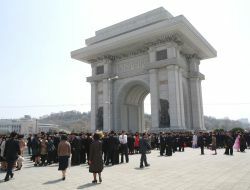 Inaugurated on the occasion of his 70th birthday, each of its 25,500 blocks of finely-dressed white granite represents a day of his life up to that point.